Regardless of whoever you are a designer, a photographer, an artist or website designer the fact is: you require a portfolio. All things considered, portfolios are the most perfect approach to give potential clients knowledge into their work history, style and system. You ask me why? I’ll give you a good example. A photographer needs a portfolio to show his best work with classifications for various kinds of photographs, for example, composite photography or macro or even interior photography. You just show your specific and help customers to choose exactly as a professional of your job. Likewise, a website designer needs an inventive portfolio to show his work for the most recent clients. The more customers see examples of your work, the more they will choose you for your style and features. Portfolios can take numerous structures and numerous styles. In any case, the critical thing here is that they are really essential. 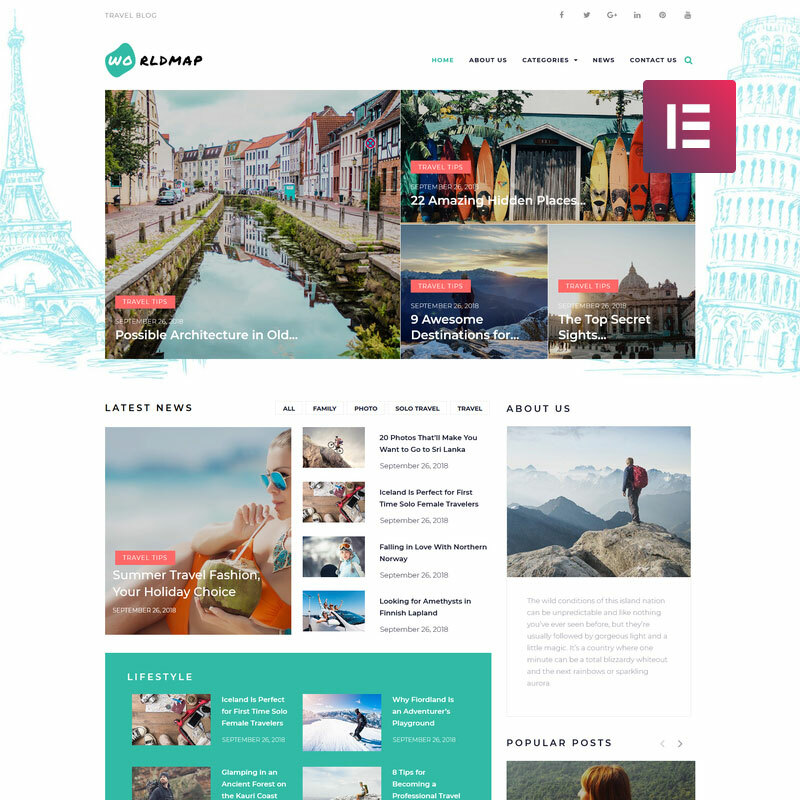 So if you need to get more clients, that need you for your professional skills, you can try out by using some of the WordPress travel themes. Choosing the right one you will save your money and time. 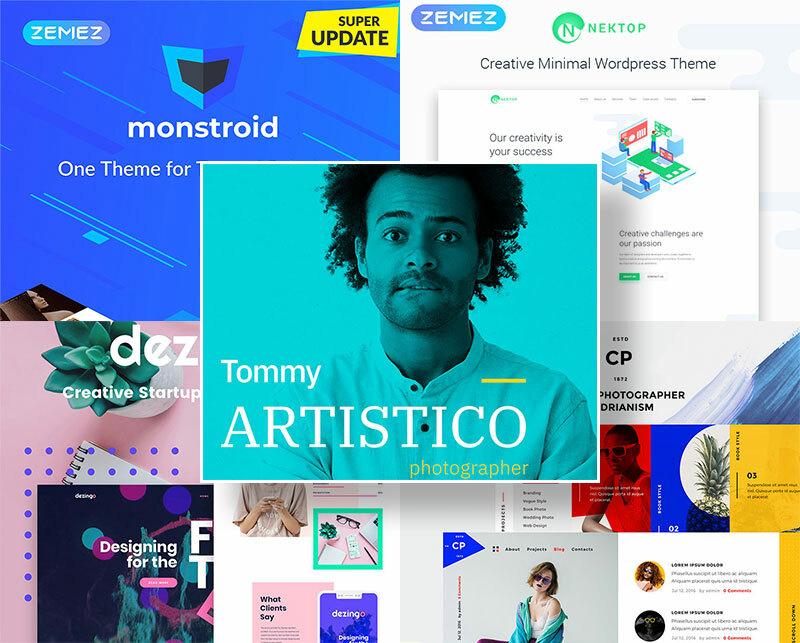 I prepared 30 cool WordPress Themes of different types for designers, photographers and everyone who need to present his work simple and stylish without the unnecessary staff that may divert attention. Under each image, there are links to demo, description, and download of the topic. Pick out whatever you want! 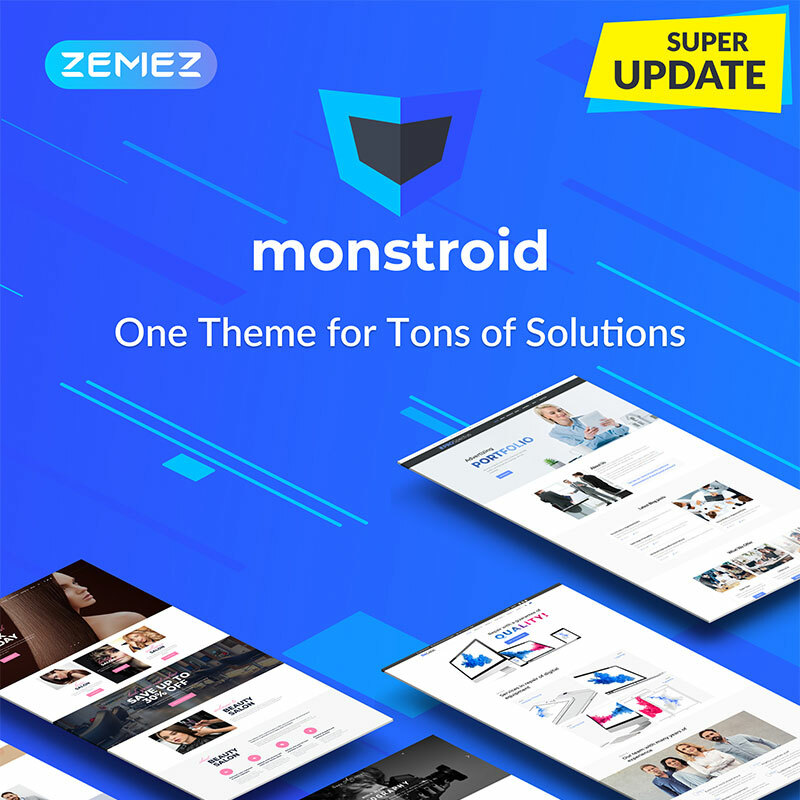 Today I want to start my collection from the most popular theme that we have of 2018 — Monstroid. Because it is so easy and multifunctional. It has all you need, whatever business and topic for your blog you have. It has demos for everything. So if you need to show off your creative work online with a robust set of options, Monstroid is an excellent choice! 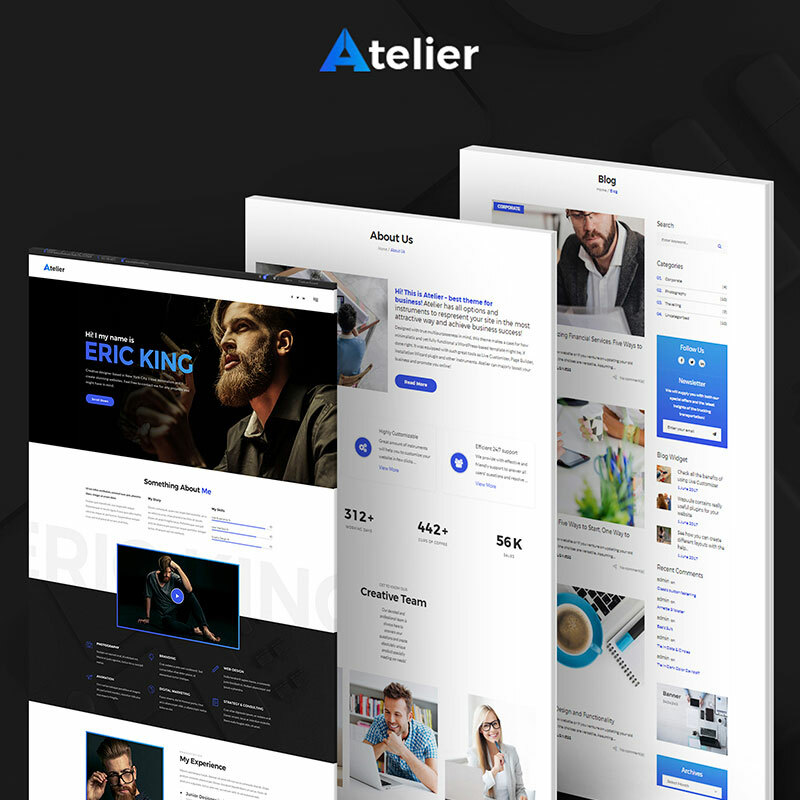 It’s a powerful WordPress theme and for a good reason, t can be used to create almost any type of website you want and is certainly responsible for the task of making a stunning portfolio. unique documentation and much more! I would say it has more than everything! Look out our videos about Monstroid WordPress theme for more inspiration and for easy understanding of how it works How to Create a Blog Step by Step for Beginners 2018 with Elementor and Monstroid 2. The next one could be perfect for a photographer who likes to travel and work at the same time. One of the most favorite professions of travelers. Those who know how to hold a camera in their hands and catch interesting moments earn money by putting pictures on photo stocks, selling them to print media, or working with local orders: for example, taking pictures in clubs or hotels. Take pictures! There is no question for owners of a good portfolio to find a job, as a rule. They are oriented on the spot and receive orders all over the world! Posting travel photos on your blog and at the same time increasing curiosity of new clients to your business, what can be pleasant? Newsletter subscription and so on. A very nice, minimalist theme in which you can set specific accents, which is perfect for portfolios. 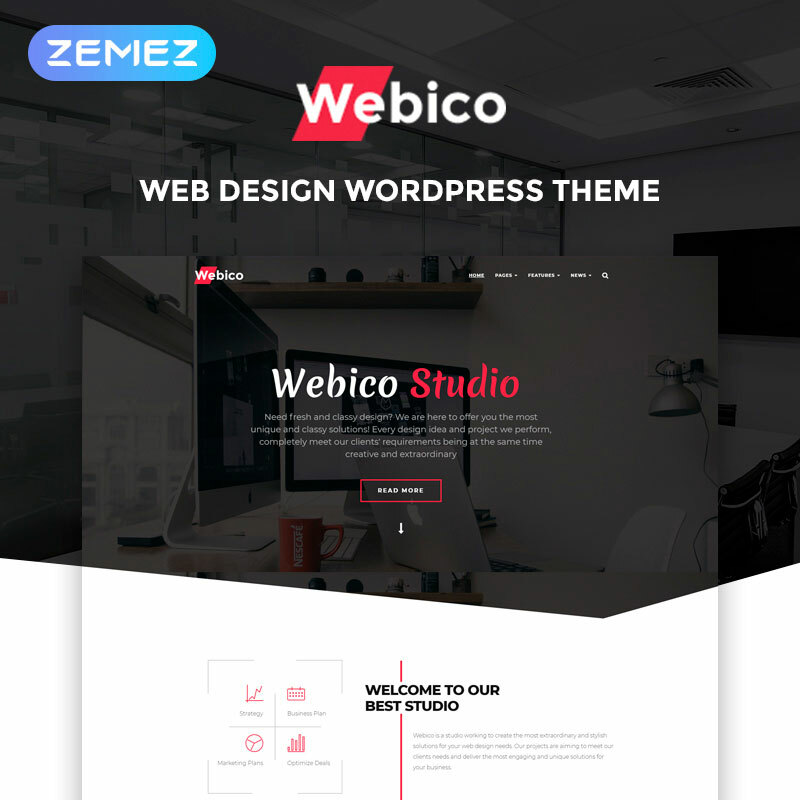 This modern WordPress theme boasts elements such as plenty of grey space, readable typography that will allow you to tell about yourself. A simple “matte” style will suit your audience. Create a compelling display for your portfolio or agency using this simple, authentic WP theme. For blog entries, various typographic design elements are available. For example, users can set accents through intros, quotes, headlines, tables, lists or links. Elementor gives you a package of widgets like Social Icons, Carousel. Each post can be completed with an individual blog signature. 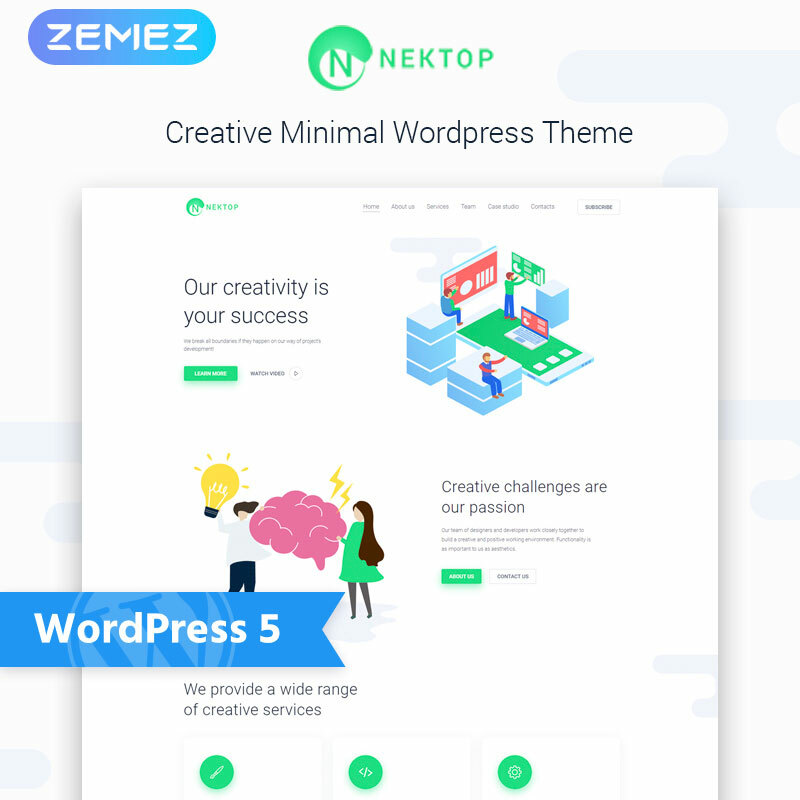 Nektop is one of the best-selling WordPress ever. If you are creative, then you have not only a very universal theme with hundreds of options, but also the high probability that the theme is constantly evolving and always on the cutting edge of technology. I mean this is a platform is made to make any your fantasy into reality! Also, this theme is compatible with most web browsers and devices, which is really important. Don’t be shy- create your unique style and share your content with the latest drag-n-drop builder. A lot of great-designed modules will help you with it. Amount of smartphone users is getting bigger every year, that means – if your blog is comfortable to read from the phone than it gives you a large plus. One of the reasons, why I recommend this theme because it is Mobile-friendly. Moreover, you will become free bonuses like JetElements plugins and all images of high quality on different topics! Sounds wonderful for me. A very nice and minimalist theme with clear representations and nice animations. You can choose them from different galleries that are suitable for you. The name of the theme speaks for itself. Imagity is another theme that can be whatever you want, from a one-page portfolio to a multi-page experience. It comes with Mega menu, a full-screen menu and side menu, and multiple page layouts for a variety of needs. 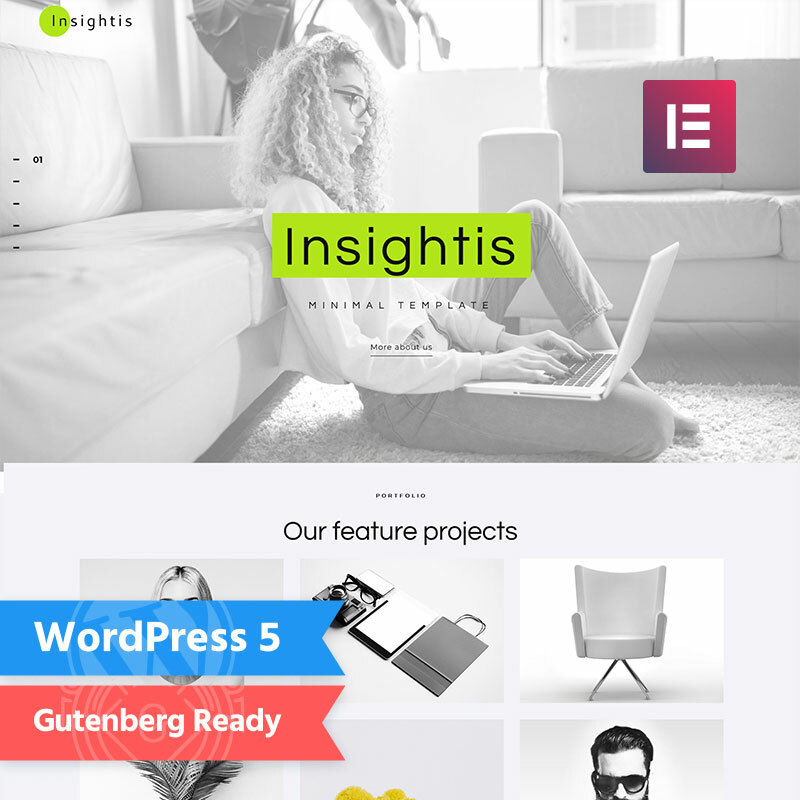 This flexible and creative WordPress theme also includes the Elementor Editor, Mobile-friendly, Cherry Plugins Layouts, and 4 Blog Layouts. It contains an easy installation, a full range of theme options and Google fonts. With plenty of useful plugins and a variety of layout options, you can portray your portfolio according to your vision — while taking advantage of the opportunity to grow your website as you grow! The next one is a well-designed WordPress theme with a sharp look at the details. It’s perfect for a photo gallery or blogging. With Catch Co you will surely attract numerous visitors to your page. He is very responsive, which means that he can work on all conceivable devices, whether it is a desktop computer, smartphone or tablet. You will not notice the difference between these platforms, as your page will resize, adjust to the new resolution and do everything necessary to fit the screen. In addition to its effectiveness, this theme is extremely simple to implement. You usually need a specialized company to create your website, but not with Catch Co. Using the innovative Drag & Drop Page, the task becomes surprisingly simple. Each page element works towards a common goal: to promote your business. Elementor page builder and so on. This is a WordPress theme whose purpose is a photography studio with a great gallery. As for me, it fits perfectly to a wedding photographer. Nevertheless, a few more touches and you can completely change here everything you want. Projects, albums and multimedia tags — all functions that can be yours. The creators also satisfied this theme with the needs of the artist. From the very beginning, this theme serves as the basis for art. 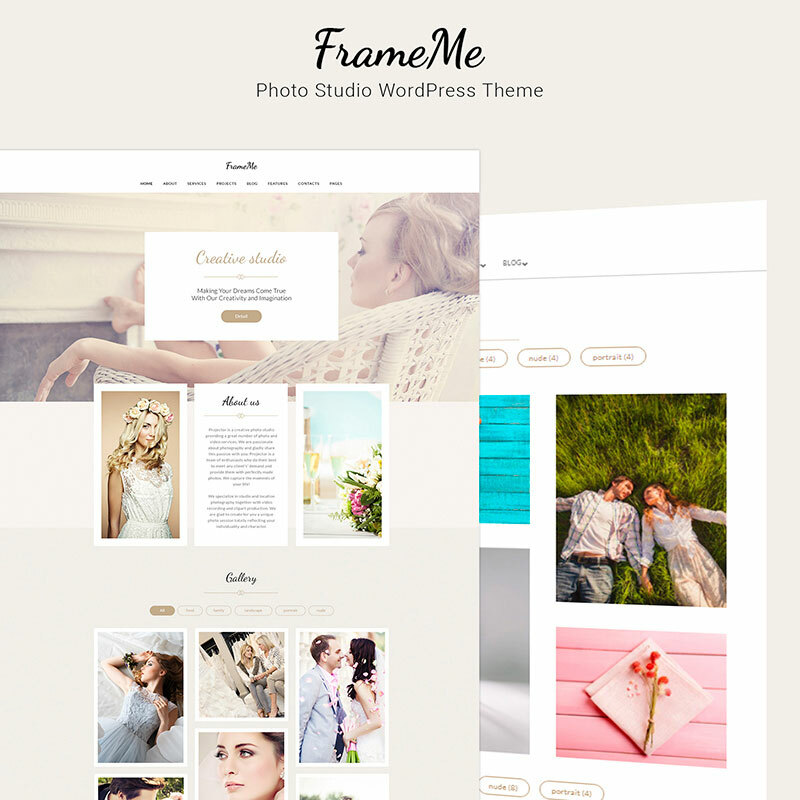 Design of FrameMe theme never shifts the focus from photos, complementing and presenting them in an attractive way. The albums are universal in their functions, as they can contain their own unique image sets or include slides from other projects and albums. Except, indispensable tools like Elementor and WordPress Live Customizer. Bonus Images and JetElements Plugin. Webico is easy to customize, this theme is ideal for creating a compelling portfolio that attracts attention. Here, for example, you see a web design sample. The numerous portfolio layouts and gallery options on this theme make it a great choice for presenting your creative work. It offers eye-catching pages for all occasion. There are quick finders, Elementor Page Builder, Mobile First Paradigm, 24/7 Live Support and more. It is One-Click to Install and can be extended with WPML. It also comes with JetMenu, TM timeline, Cherry: Projects, Pop-Ups, Team Members, Socialize and many more Cherry features. 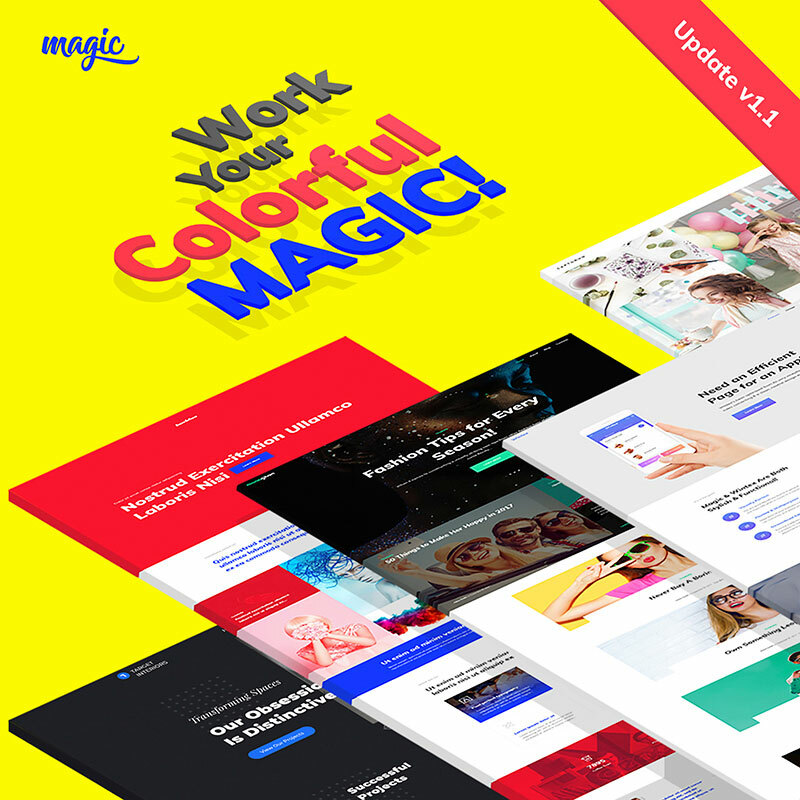 Magic WordPress theme is another best-selling theme that offers multi-concept solutions for businesses, stores, and creatives. If you want your portfolio to attract attention online, this is the topic to tackle! It has indeed magic multi-functionality. Thanks, Revolution Slider you can turn common images into amazing visualization and make interesting animation effects. Using carousels, and slides you can design your theme as simple as it gets. Just try out and take advantage of drag-and-drop functionality, the library of presets and almost 30 modules. With JetElements you will most likely include extraordinary things and apply appealing style settings to them. There are 6 Ready-to-use skins, 7 Resplendent Homepages, Power Builder, TM Wizard Plugin, TM Dashboard and more. It also comes with Elementor, Cherry Mega menu, a responsive design, and WooCommerce compatibility. Stylish and simple, professional multiplayer WordPress theme. Lady Marry allows webmasters to have a gorgeous, powerful and ready-to-use portfolio manually in minutes, regardless of previous coding or development experience. The theme is perfect for photography websites, photo magazines, photo studios, and other similar projects. Clean and minimalist design with the ability to install a given demo by 1-click. In the well-documented theme, you can choose from 6 different homepages and continue to build your content with Elementor Page Builder. Lady Marry theme allows seeing on the smaller screens as well as on the larger ones thanks to Mobile-friendly feature. 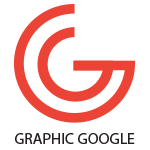 Moreover, you will get free images and JetElements plugins, Google Fonts, Valid and Clean HTML Code, WPML Ready and other useful tools, that will make your website only productive and more interesting. Lady Marry can implement almost any visual style. 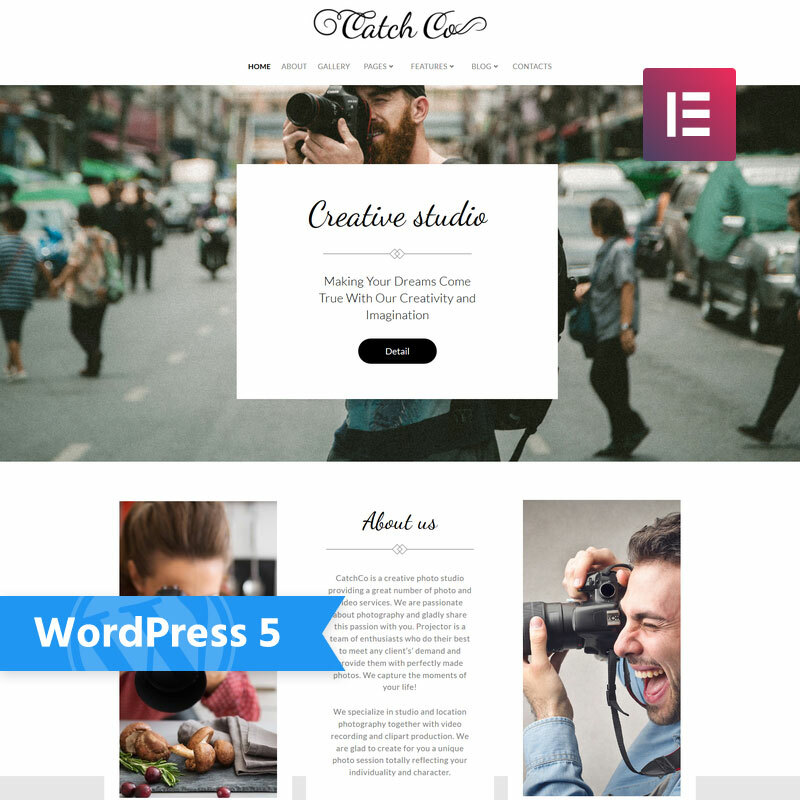 WordPress Theme for creatives with many ready-made templates for pages and portfolios of photographers, freelancers, architects, and artists. This photographer theme offers the opportunity to present your portfolio very well. Modern and almost minimalist design with one color accent let you work with many effects and animations. Once your website is done with your new WordPress theme, you should keep your portfolio up to date. Take some time each month to check your work and see if anything new should be included in the lineup. This will keep your website fresh and you can always show your best face. Make your unique gallery with easy tools. Sometimes simplicity is the best idea to get attention. Contact Form 7 et al. At first glance, it is very modern and geared more towards blogger use. 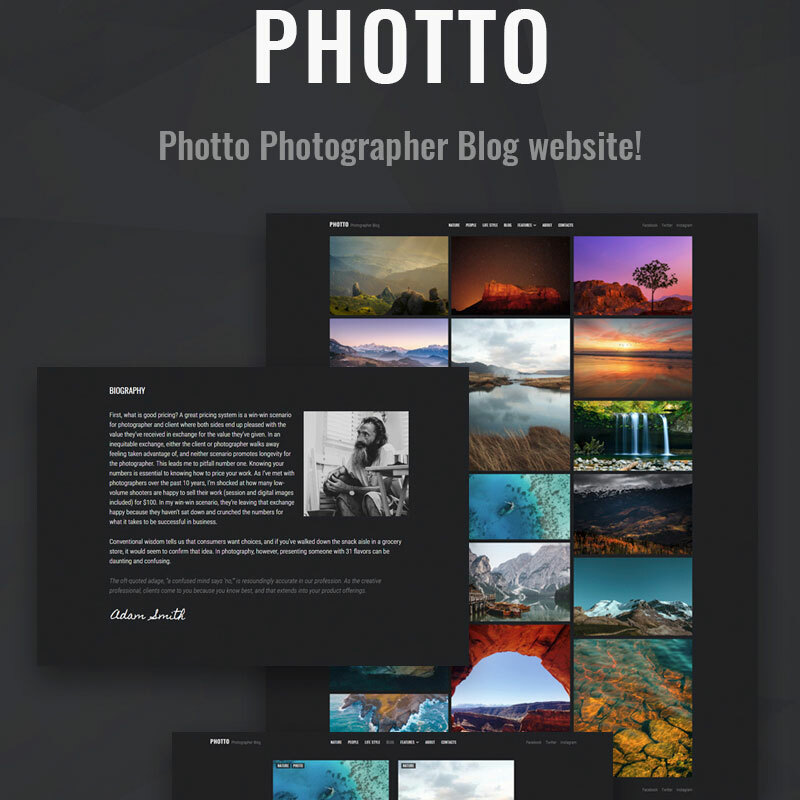 Photto is a web gallery. The first thing what you see when you go to this website is a great number of pictures. The obvious thing is the possibility to use full-screen photos and videos, which will have a great visual impact. In this way, companies can strengthen their branding, especially since also in the header a logo is inserted. Theme design itself allows presenting photos in columns and choose one of 6 noticeable pages. Overall, it is a simple, but a very visual theme, which thereby lives up to the present time and allows companies a very modern presentation. Cherry Search and Socialize and so on. 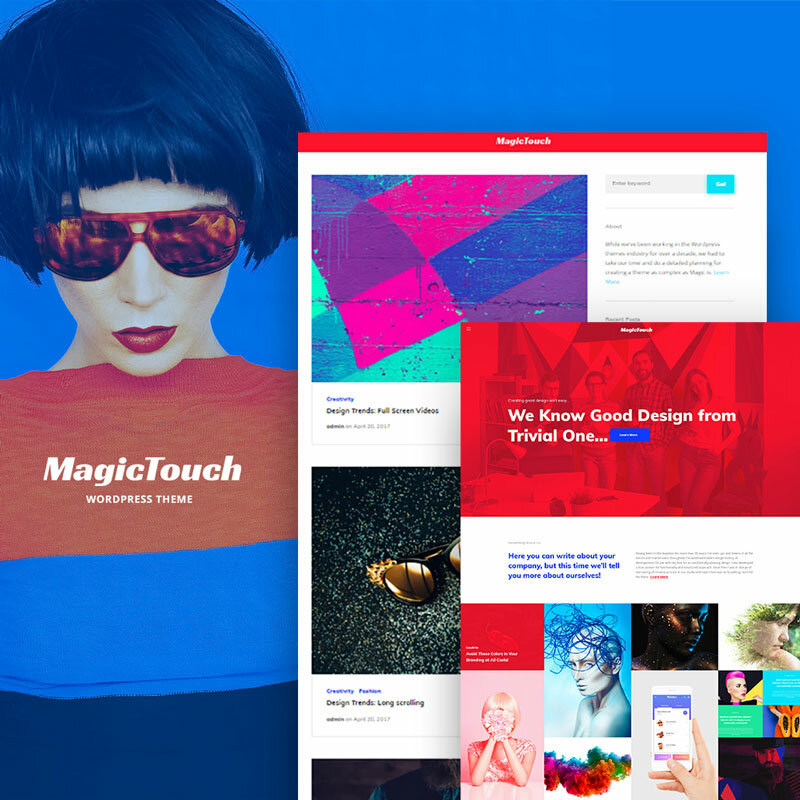 An innovative, eloquent and responsive website theme for a WordPress portfolio. You can make a shop if you want to. This theme is an ideal modern showcase that does not require any coding skills. Easy to use Elementor page builder allows you to handle every detail of the page. In addition, you have unique options and styles of animation, as well as many layouts. It gives you also 24/7 lifetime support, mobile first option, and 6 conspicuous pages. For example, Post page, portfolio page or pricing page. What can I say, Dezingo is an excellent theme for a business portfolio. Besides, they offer you Jet Elements plugin, Jet Menu and all images for free! 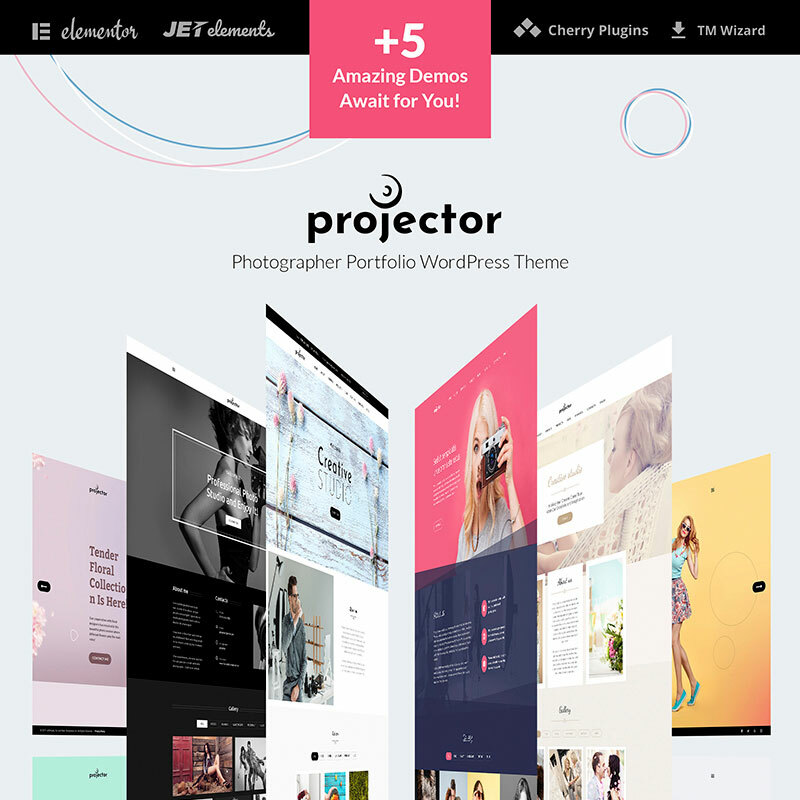 Projector is another multi-purpose theme that allows you to create a knockout portfolio to impress your customers. The design is flat, responsive and absolutely professional. It’s very easy to design, thanks to 9 ready pages, TM Wizard, and Cherry plugins. 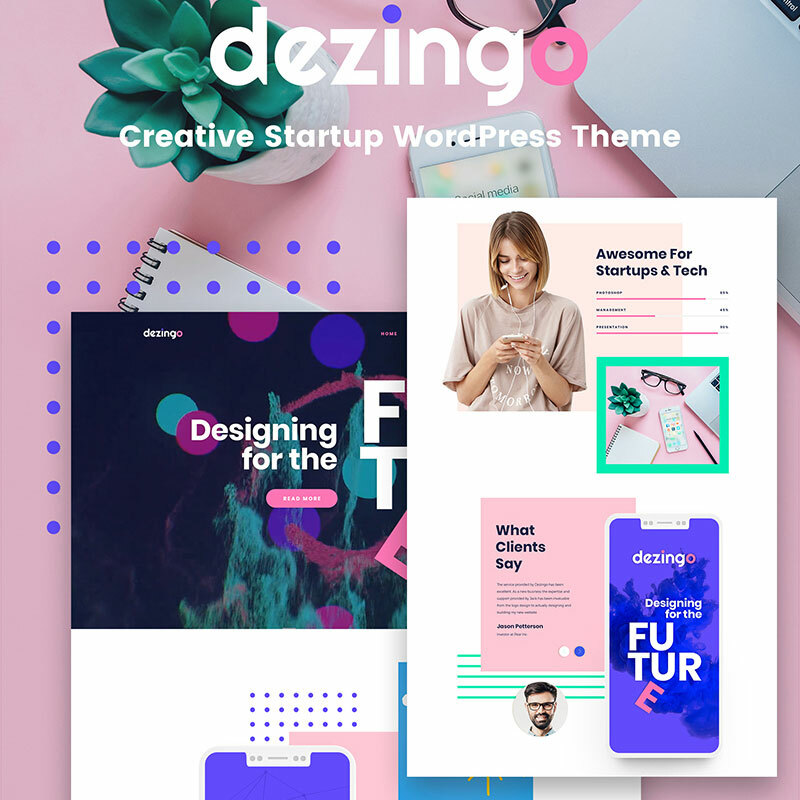 This theme creators also offer great viewing options, ready 25+ demo pages, 5 different homepage themes, free images, one-click installation, 3 different footers, and 7 flawless headers. It’s easy to customize components like one-click color changes. Projector theme includes features such as page notifications, Google fonts, SEO-friendly, and mobile first option. You can get your portfolio online quickly, but you can also have all the WordPress theme features you need to work on as you build your reputation and expand your professional work. Booked Appointment Plugin and Jet Elements plugin for free. 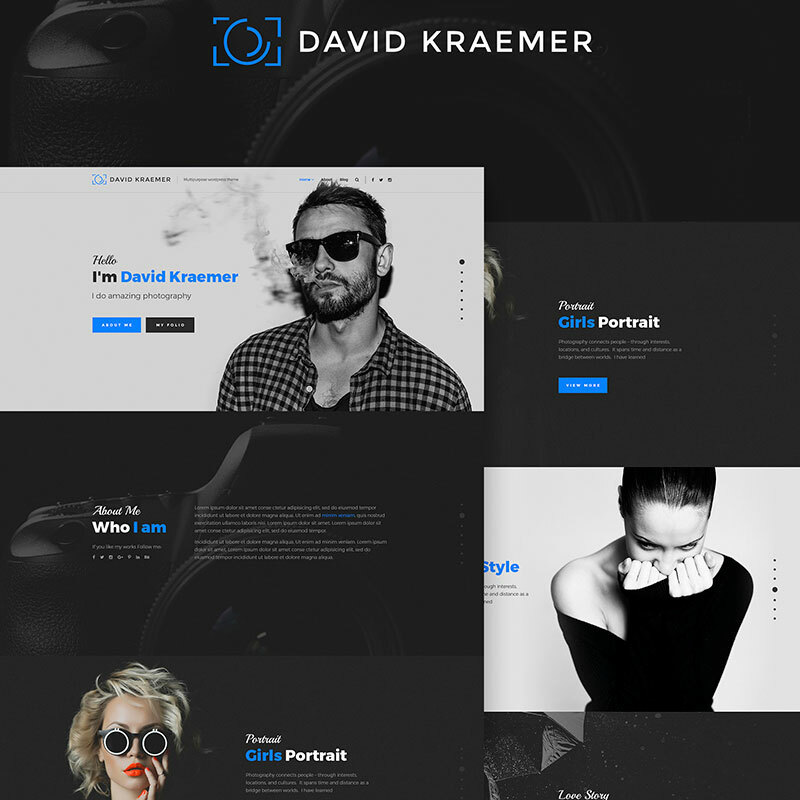 Designed for a true artist, David Kraemer is a WordPress theme that never fails to impress. It supports Widget Ready, High Resolution, works with most web browsers. It is compatible with WPML, and the documentation on this theme is very extensive. The layout is fully responsive, and users will not encounter problems when viewing content from mobile devices. Developers made everything as intuitive as possible, and you can easily create your own layouts or choose one of 4 ready blog Layouts. Fully responsive design and the interactive Drag & Drop interface help to build your content as you wish. In my opinion, David Kraemer is a simple way to become a confident owner of a blog and offer your service successfully. 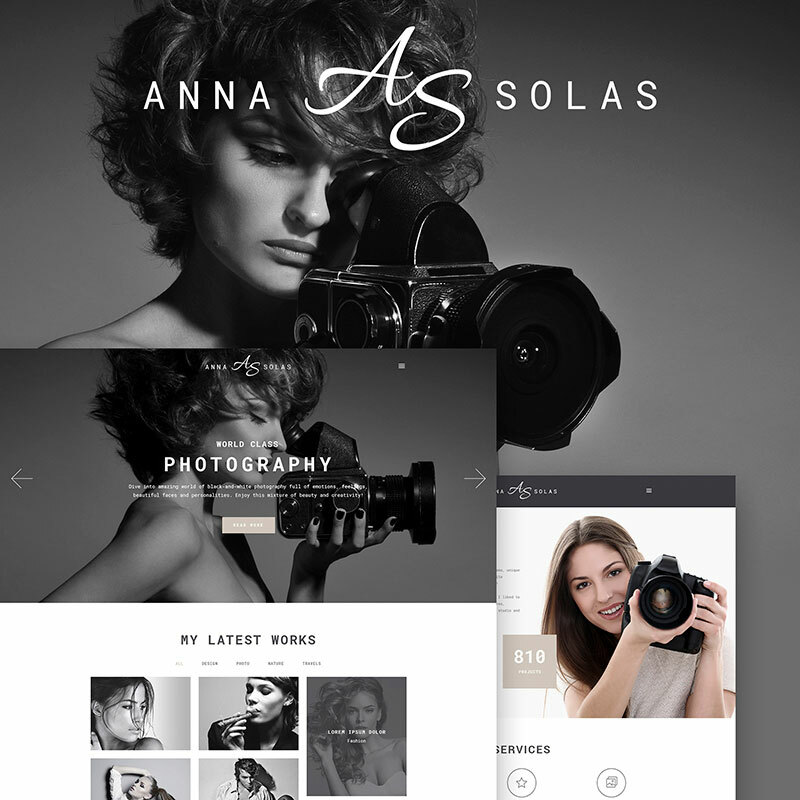 Anna Solas – is a woman version of the WordPress theme for a portfolio of a confident photograph. A variety of photo features and options are offered that will make any photo site come alive in minutes. Without the need to write lines of code, thanks to the full visual process of building web pages. Numerous, ambitious and diverse shortcodes will simplify and optimize your workload so you can focus on what’s important – making excellent photos and getting new clients. Using 6 eye-catching pages make your blog ready to go. Just fill up your contact info, download your favorite photos to a gallery page and write some tips to your blog. Believe me, when you do it, you will give the right impression to your clients. Free booked appointment plugin will help you to manage with all those reservations for a professional photo session with you. Mobile- friendly option, JetElements, and Elementor will do the rest. Professionally developed, durable and powerful WordPress full-screen theme. The theme is a thoughtful Cherry Framework 5 that allows creating high-quality websites, complex photos displayed in full-screen mode and looks great on any device and screen resolution. 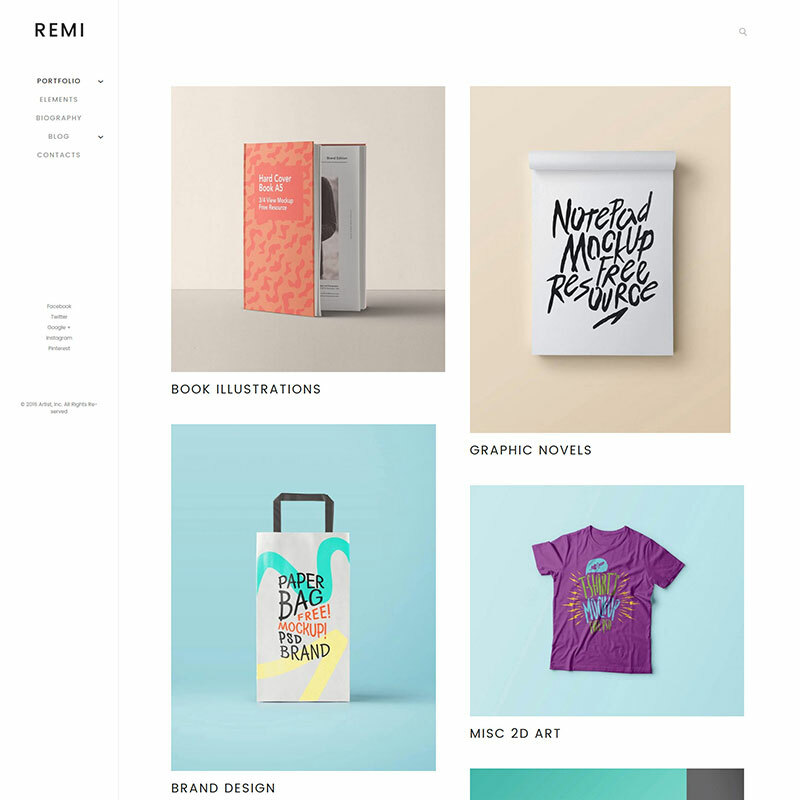 Remi is equipped with the most remarkable set of functions, resources, shortcodes, and elements that will make your photographic work bright, and your viewers will be pleased with their beauty. SEO-friendly will help you to reach the top of the search results. Live Customizer will make adjusting your theme design just simple. Custom Widgets gives you advance functionality to show your content in a creative way. Multiple Layouts and Cherry Sidebars allow you to experiment with a page structure. And at least Cherry Projects help you within 5 minutes to create a gallery of your dreams. CPM is a beautiful and very expressive, creative and vibrant, modern and technically thought out adaptive multi-user WordPress theme. 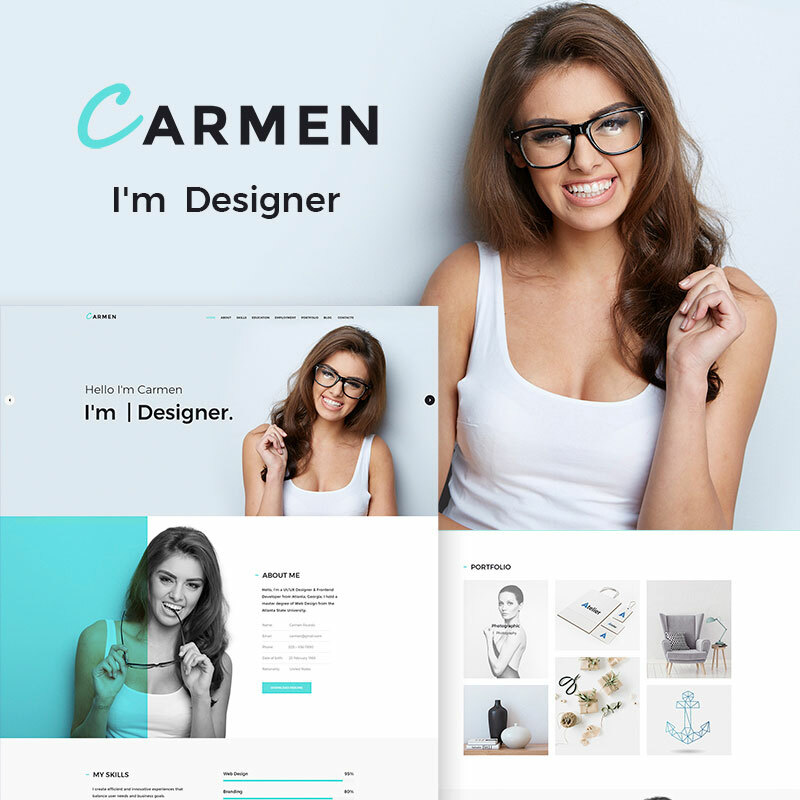 This thoughtful and very neatly structured website theme, equipped with a lot of tools and an ambitiously broad goal to flawlessly present visual content to a mass online audience across a multitude of archetypes, industries, and applications, demonstrates an ever-expanding set of incredible easily imported demo sites for dozens of specific purposes. At the same time, CPM includes creative capabilities, while deploying the great Elementor page builder, allows you to create layouts and pages. A variety of plug-ins and shortcodes to enhance user convenience, including the attractive Mega Menu and Cherry Projects, will make your work creative. Photographers love this theme because it gives them visual freedom to showcase their work in the right style. 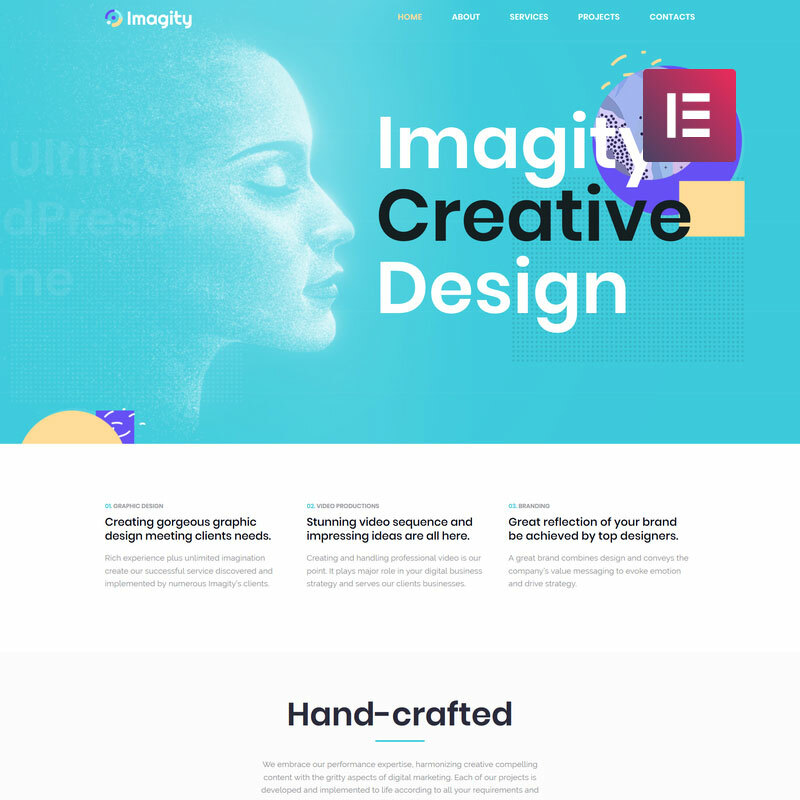 Universal template with responsive Retina ready design offers several ready pages for web design studios and different types of agencies because they are universal. Especially for Glitron, various sliders have been created to help draw attention to promotions or portfolio work. It is really universal with minimalist but stylish elements. A mobile-friendly option will help to read comfortably this portfolio for your future clients. However, it’s packed with many portfolio features that appeal to creatives of all kinds: designers, illustrators, photographers, and more. It also includes some high-quality plugins like Elementor, WordPress Live Customizer, and JetElements. What else do you need? 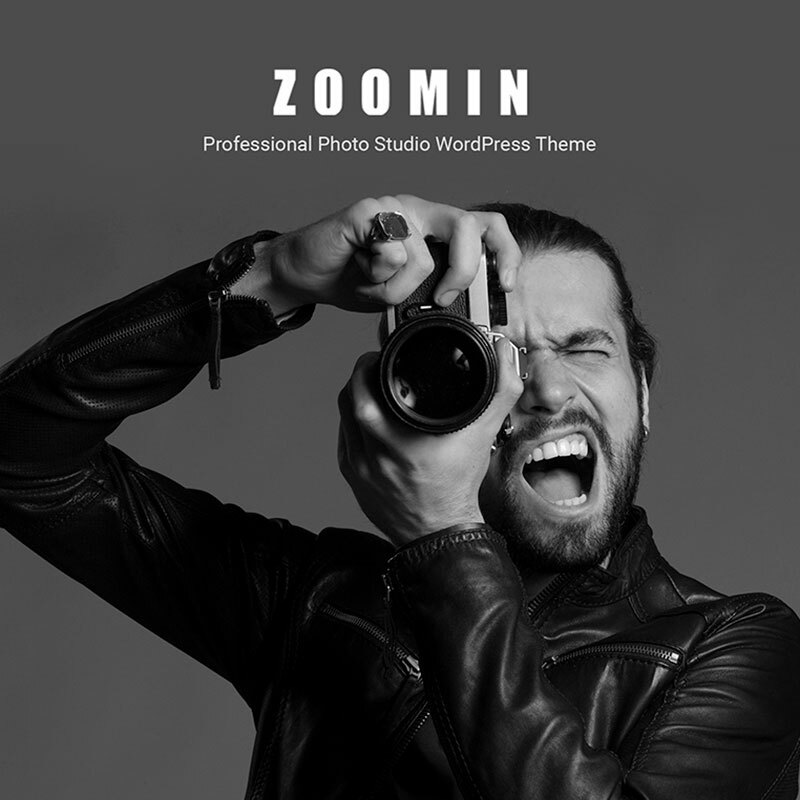 Zoomin is a custom, responsive WordPress website theme. A unique theme for a unique audience. A very minimalist design that displays your pictures in a full-screen slideshow. Classic Masonry presentation for the photo gallery and for the portfolio. 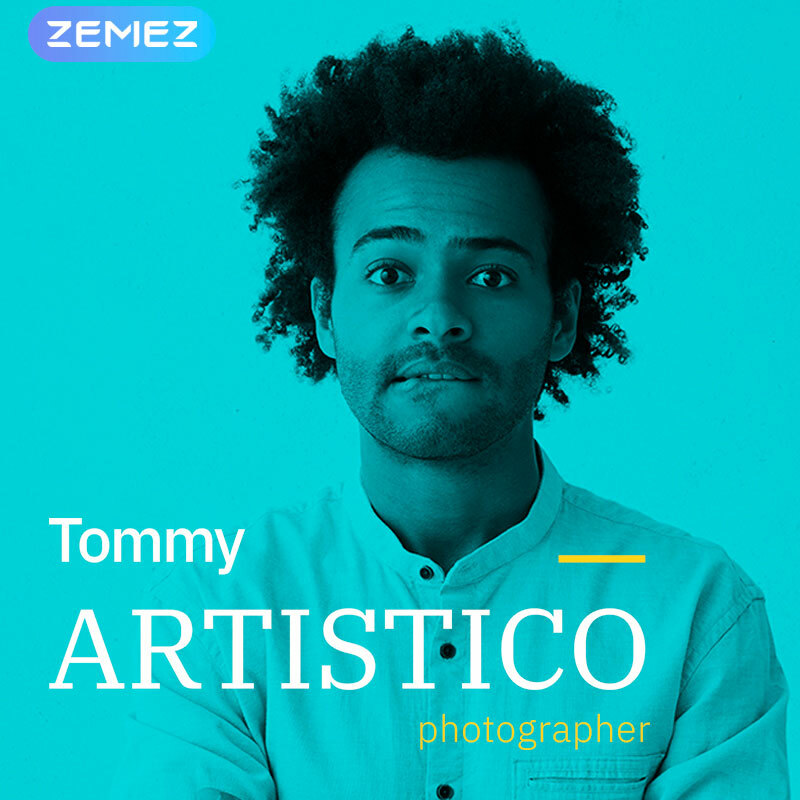 Zoomin is ideal for professional and amateur photographers, photojournalists, professional photographers, and illustrators. It is equipped with the most advanced tools and technologies for processing complex, high-quality images and video content in the most competent manner and with maximum efficiency. 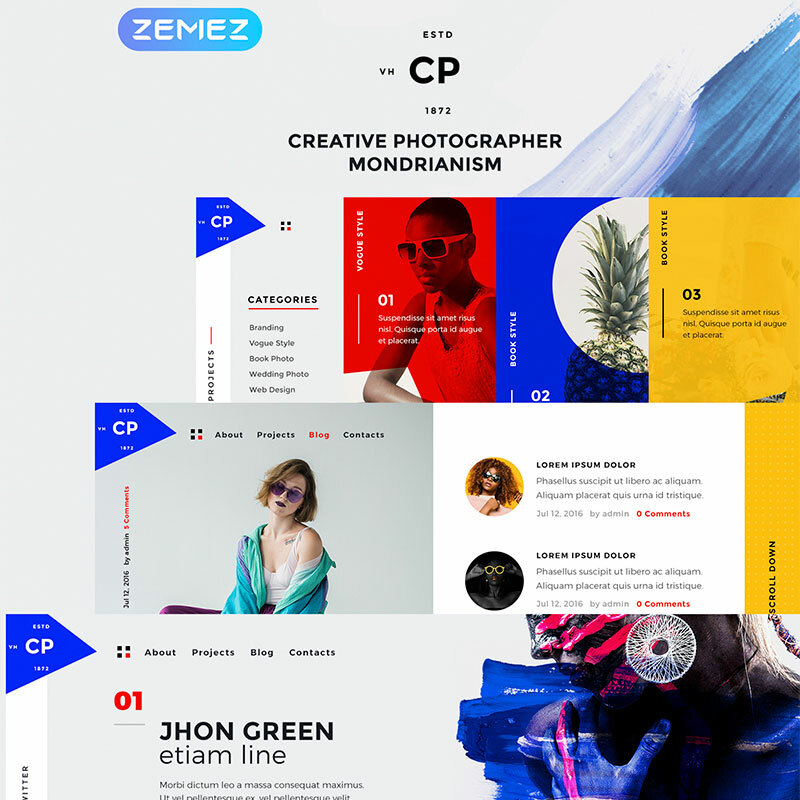 Zoomin also has an incredibly perfect minimalist aesthetic philosophy that permeates every layout, template page and demo site within this particular theme. Cherry Projects, Pop-Ups, Search, Socialize, and so on. A WordPress theme that comes as a response to the demand for photographers around the world. A live demo is available, allowing customers to choose content without having to spend money. A presentation has always been an important part of the art. The theme includes a tempting full-screen slider that supports both video and image files. Using this, anyone can create an amazing presentation. Full screen is paramount to any photographer, as it increases the attractiveness of a beautifully captured image. The album feature is ideal for storing and organizing memories. Creating such an album is not at all difficult, and you can make as many as you like. VikHax is a WordPress theme designed to enhance your creative website. Blogs and portfolios for a designer are optimized using a number of useful website tools. Customers can easily show off their videos, audio files, and photos full of their ideas and creations. The theme is fully responsive, it can display your site on mobile devices such as tablets and smartphones. You can upload edited or unedited photos, write posts for your blog, sell products or manage the page layout. 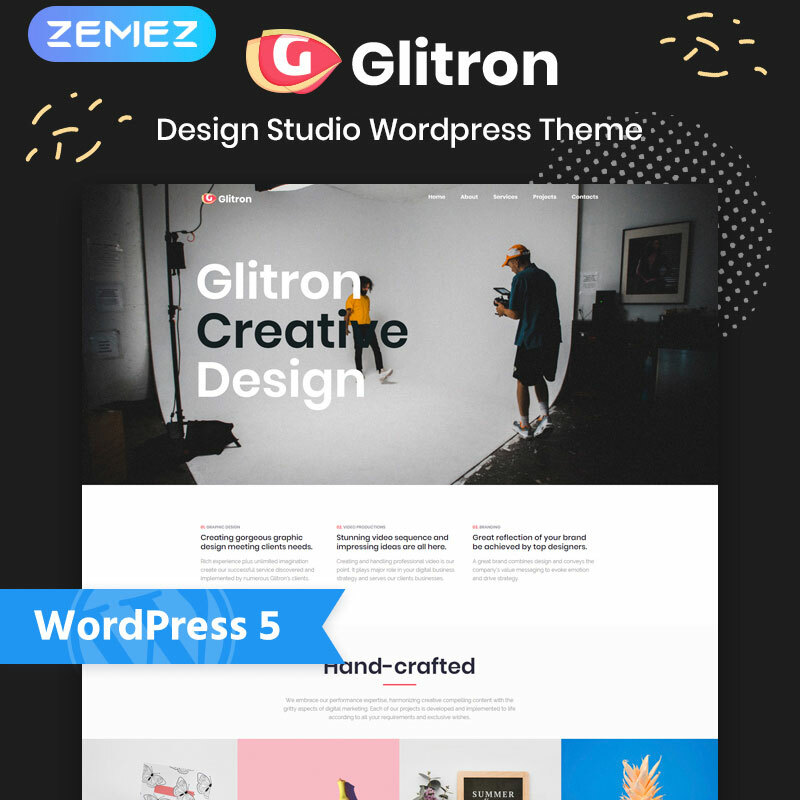 7 Header layouts, Ecwid Ready, Content modules, multiple layout options, 5 minutes Installation, Drag-and-Drop page builder and my favorite Cherry plugins. All this will help you to create your remarkable and unique website as easy as you always design. 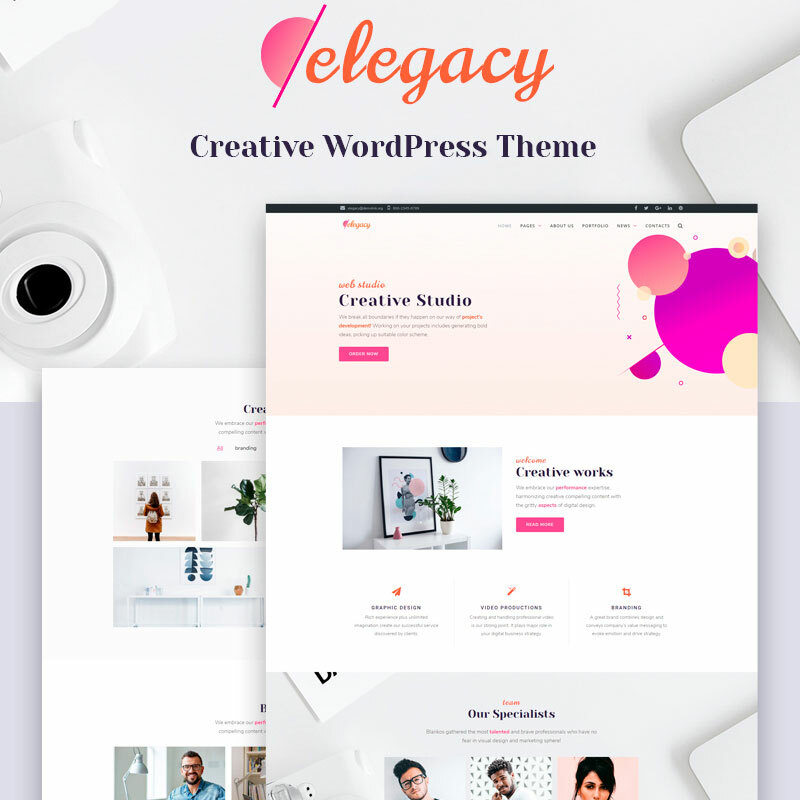 Elegacy is a beautiful, flexible and lightweight, easy to use responsive WordPress theme. It has a very convenient and intuitive environment for easy creation of functional, gorgeous and sleek websites for photography of any kind. From amateur photographers to websites for professional photographers or studios, photojournalists or even travelers. A photo can adequately organize any site that deals with high-resolution photography. Just use Elementor Page Builder — most intuitive editor. All you need to remember is drag, drop and customize. With this theme, you will get outstanding add-ons like JetElements, JetMenu and JetTabs! With their help, you can create highly functional and attractively-looking widgets, Mega menu and awesome tabs! One-Click Installation and you are a happy owner of your first website. A modern fantastic theme for a multi-page WordPress website. The theme is a dynamic set of tools for developing amazing websites in a short time, without the need to write code yourself. Julie Bernerro theme was designed to offer the most comprehensive, flexible, and a good assortment of smart widgets, elegant layouts useful shortcodes, and innovative customizable animations. With an optimized page builder and Visual Editor, the distribution of your content will be one hundred percent. Photographers find in this theme the ideal partner for the presentation of their work. HTML5’s flexible coding reinforces a media-focused theme that can handle high-resolution photos and embedded videos. You can add an online store for free in 5 minutes with Ecwid Ready. This theme is so unusual and unique, that with the help of 7 Header Layouts, Live Customiser and Custom widgets you will get the most stylish theme ever, just masterpiece. Design studios, however, like the advertising agencies, have no problems with the flow of customers and orders. Many companies use design services to create their own corporate style, beautiful website design, advertising materials, information brochures, and so on. There are many directions in design. Accordingly, there are a lot of design companies as well. Besides the fact that this field of activity is very interesting and in demand, it is also very profitable. The budget for a design project can reach several thousand dollars. In addition to design studios, such services are also provided by individual specialists, in particular, freelancers. If you are planning to open or have already opened your own design studio, if you are a budding designer, you should think about creating your own website. Without this, you just can not do. Creative WordPress theme that incorporates many options for creating an original, memorable design. Among hundreds of demos, it is easy to select ready-made sites for such business area as a web design service. Most favorites themes make your ideas look great online. Stand out from the crowd — whether with a professional website, an elegant portfolio or an attractive online shop. Add an online store in a few minutes with Ecwid Ready. Add images to your website, easily by Drag-and-Drop Page Builder. Just as easily, different areas can be moved, added or removed. Fonts, colors and page configurations can be customized to make your site unique. This theme works optimally on devices of all kinds: smartphones, tablets of all sizes. Content modules allow you to add buttons, images, pricing tables, contact forms, sliders and many more. In my opinion, the most important page of creative websites is Gallery page. So feel free to experiment with a wide variety of layouts and create astonishing web photo studio using TM Gallery plugin. 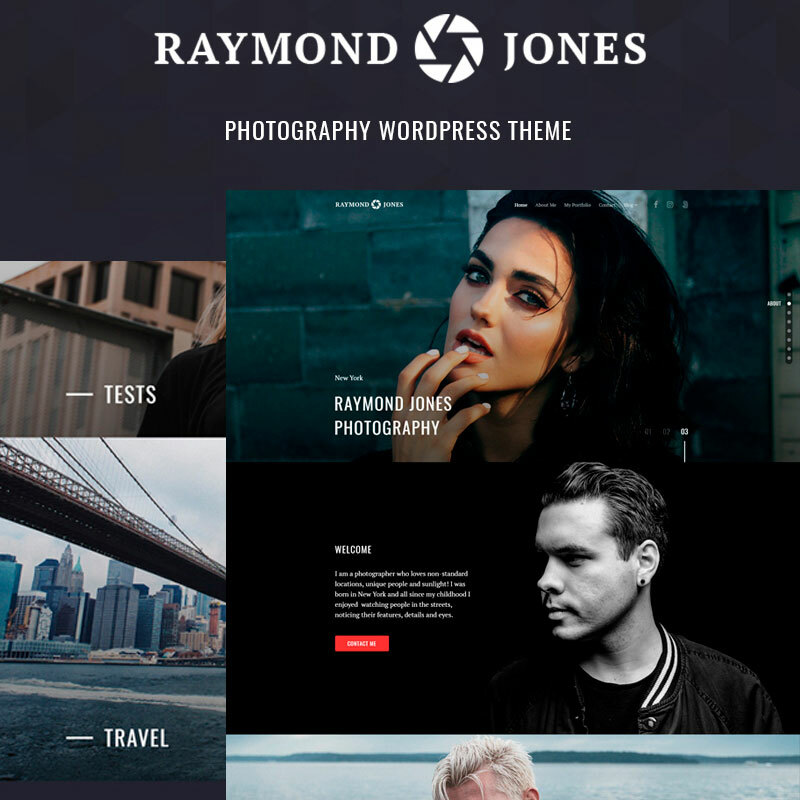 Raymond Jones is a specialized theme for WordPress. It comes with many design customization features. This theme is a high-resolution Retina theme perfect for any type of image. You will get 4 different blog layouts for displaying galleries and an unlimited color range. Compatible with popular browsers. For publishing, you get a lot of Google Fonts and WPML (immediate translation posts). For purchase options, you get an integrated Ecwid Ready. Raymond Jones is compatible with HTML and CSS3. Social sharing buttons are available. Raymond Jones is suitable for all photographers, artists, architects, and bloggers. 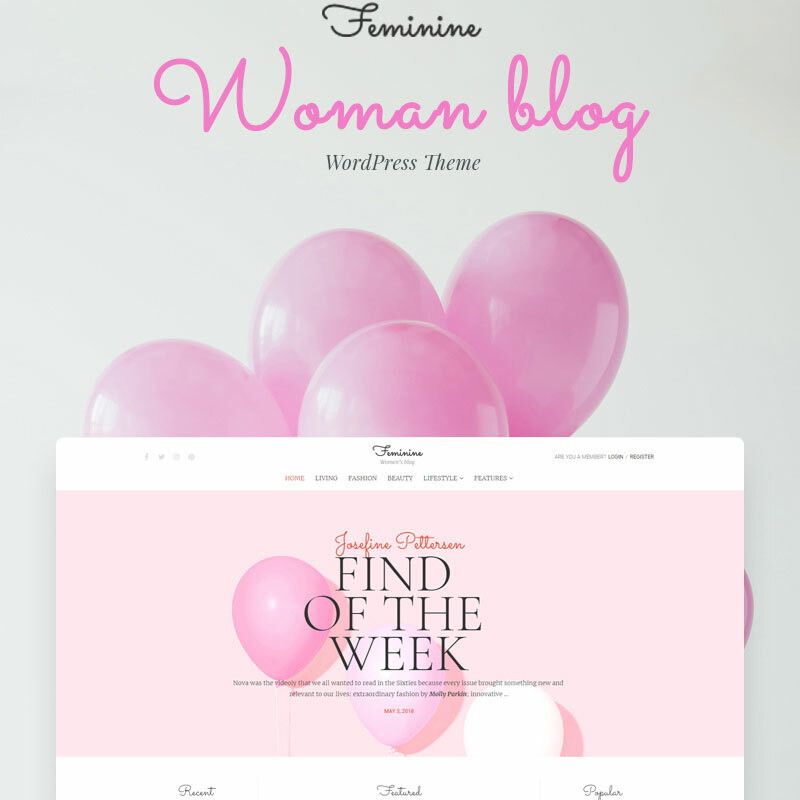 This theme is so sensible because of full of feelings design. Cherry Framework 5 makes always miracles. One-click to install and you get a fully responsive design with 5 Flawless Headers and 3 Footers. Powerful plugin for web building will help you to build page as you see it on every screen — on a small or a big one. 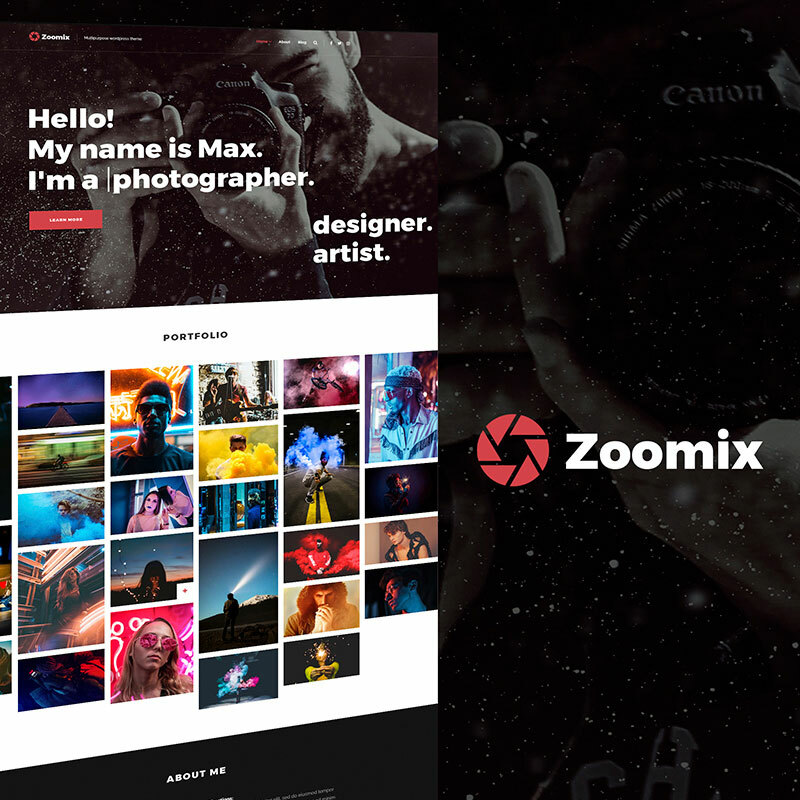 One more amazing WordPress theme that seeks to provide a unique look is Zoomix. The developers have created this theme for photographers who care about displayed photos. 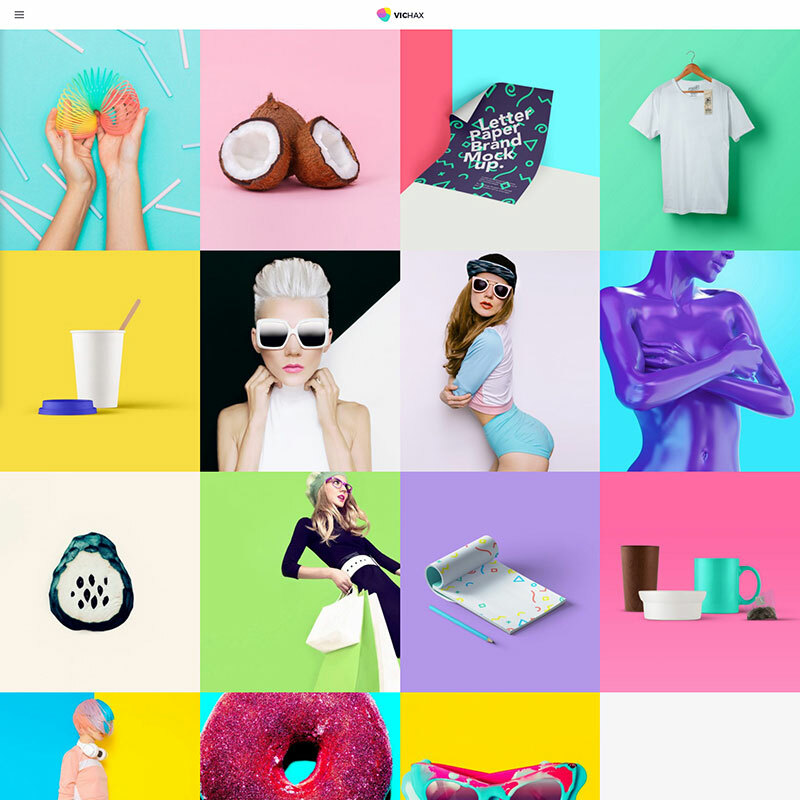 They have worked through every feature of this theme so that you can easily create an impressive portfolio of photos. 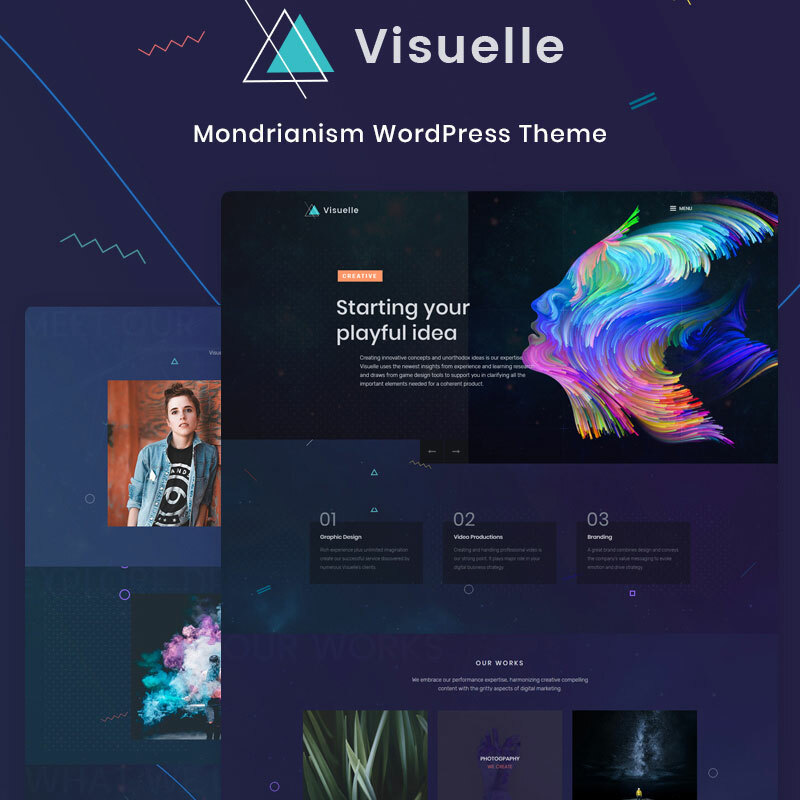 This theme contains several great features, such as a full-screen slideshow, flat design, net galleries and a newsletter subscription that will allow you to inform visitors. It is easy to create great content and simple to work with it in the future. Variety of pages get you a perfect start for your web photography business if you don’t know what should you have on your website. Elementor Page Builder helps you with well-designed modules very easy to edit every page with all the features that you need. Just drag and drop and voila! One of the most versatile themes in the review. With the help of JetElements and customizer, select the desired elements and gradually create your website. In the Elementor Page Builder tool is particularly convenient to edit the portfolio. There are three elegant ready pages. This blog is perfect for agencies and photo bloggers, who want to share his tips on how to be creative at first. Then JetBlog will help you to continue improving your blog and make from in whatever you want, just keep on create. And you will have your blog or magazine that is pleasant to read at home in free time or at a cozy cafe with a cup of coffee. Feel inspired and spark off others! I have to admit, every 1 to 2 years I got fed up with my old web design and then I like to be seduced by a new theme, that corresponds to modern web world and has all new features. How does it look for you? How often do you change the design of your website? If it will be your first one, let me know which one have you chosen and why? I would appreciate every feedback. I hope that you have enjoyed this detailed review, in which I presented the best in my opinion design themes. If you need help to choose a theme, feel free to write your requirements and tasks in the comments. We will try to find a great theme just for you.